According to the National Eye Institute, more than 2.7 million Americans over age 40 have glaucoma, a number that is estimated to increase by more than double by 2050. If you have recently been diagnosed with glaucoma, you should take comfort in knowing that you are certainly not alone. In addition, there are plenty of steps you can take in managing your condition so that you may continue living your life to the fullest. It goes without saying that you need to see your eye doctor for regular checkups, and to tell them about any concerns you may have. In managing glaucoma, your eye doctor will be your biggest asset. 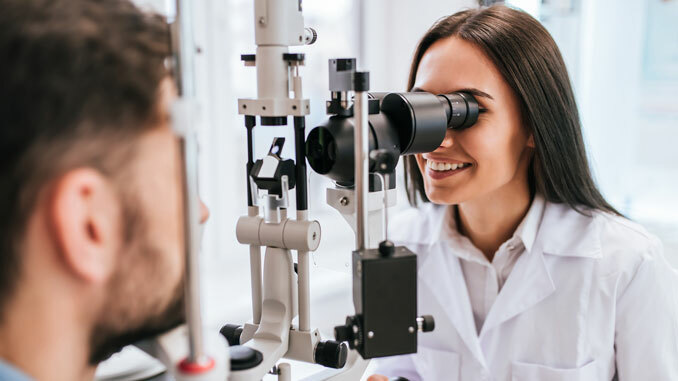 “Glaucoma is said to be the silent thief of sight, so having your eye pressure checked annually is imperative to diagnosing glaucoma early before visual loss ensues,” says Dr. John H. Zeiter, ophthalmologist at Zeiter Eye Medical Group. Talk to your doctor about the specific type of glaucoma you have and learn all you can about your condition. It’s also important to talk to your family about your condition so that they can not only assist in compliance with glaucoma treatment, but also be on alert for their own symptoms as glaucoma is a genetic condition. Ask a family member, caregiver or friend to be present at your appointments to have a second person assist you in remembering your treatment plan. Taking prescription medication needs to be a part of your daily routine including applying eye drops at a certain time of day; for example, when you wake up in the morning, with a meal, and/or before you go to bed at night. Storing your medications next to your toothbrush can serve as a visual reminder. You can also set an alarm on your smart phone for a daily reminder. Write down a list of your medications and how often you take them as well as important phone numbers in large print, including doctors, transportation, emergency contacts, etc. Put this list in a convenient spot. Ask your eye doctor about laser treatment for glaucoma or surgical options (micro invasive glaucoma surgery) that may assist in the control of glaucoma. You’ll want to protect your eyes whenever you can. Wear goggles when swimming, protective eyewear when doing yard work, and sunglasses to help block out the glare. It’s also important that you take care of your whole body as well as your eyes. If you eat healthy and exercise, your overall health will contribute to healthy eyesight.